ECS would like to congratulate Johan Scheers of the Volvo Group for winning first place in the August 2018 Refer a Friend Contest! Scheers receives a complimentary meeting registration to a 2019 ECS biannual meeting of his choice. The second place recipient, Anatolie Carcea from the University of Toronto, receives a complimentary 5-year membership. Tatiana Lastovina from Southern Federal University in Russia, the third place winner, receives a complimentary 3-year membership. Members were challenged to recruit new members to the Society throughout August; emails were sent each week to encourage these member-to-member recruitment efforts. 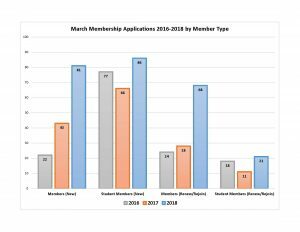 Membership continues to play a very important role in the success of The Electrochemical Society. During the month of March, ECS hosted a spring membership campaign that featured 13 stories about our members. Membership with ECS is more than the discounts. Membership is access to the latest scientific research, a commitment to the dissemination of research, and an opportunity for you to build your career with an international network of peers. Shirley Meng, secretary of the Battery Division, says “The Society is over 100 years old. 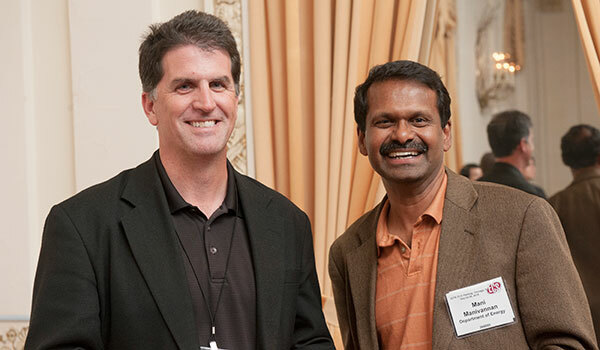 We should think about what we’ll look like 100 years from now.” Research shows that people join membership organizations, like ECS, to have access to a peer network and to advance their careers. 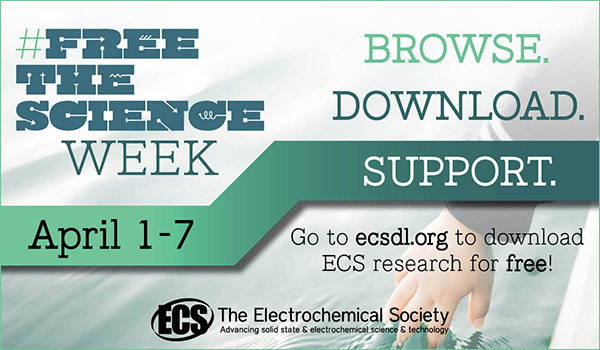 ECS continues to encourage members to invite new individuals to get involved in the organization; and, to engage those nonmembers with interests in electrochemistry and solid state science to learn more about ECS and share in the mission to Free the Science. The goal of the drive was to recruit 100 new members to the organization. With the help of current members, we successfully recruited 81 new members and 86 new student members! In addition to the new members and student members, 68 of our members renewed their membership along with 21 student membership renewals. Overall, ECS recruited 167 new members and 89 members renewed! 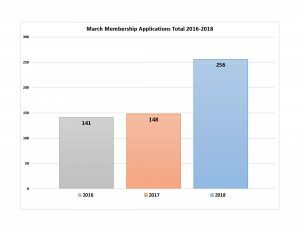 This is 173% growth over the March 2017 membership applications/renewals. Thank you to all of the members who helped to recruit new members to the Society and for those members that renewed during the month of March. 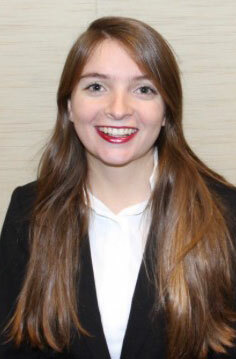 My name is Alyssa Doyle, and I had the privilege of interning with The Electrochemical Society’s Membership Services Department for a semester. When I first began my internship in August of 2017, I wasn’t sure exactly what to expect. I wasn’t all that familiar with nonprofit operations, and as a junior English major at The College of New Jersey, I knew practically nothing about electrochemistry. I’m going to be honest—I was quite nervous, but I was also incredibly excited by the prospect of acquiring knowledge about an entirely new subject. From the moment I arrived, I was quickly immersed in ECS’s mission and culture. I learned a lot about ECS’s Free the Science campaign, and as a student who is interested in publishing, I was intrigued by the possibility of open access. When I first heard about the initiative, I deeply admired ECS for their desire to provide free research to people across the world with the hopes of increasing the sustainability of the planet—I still do, but now even more so. Throughout my internship, I worked on various rewarding, engaging, and meaningful projects—there’s no getting coffee here. Instead, I had the chance to write blog posts about award winners and upcoming ECS meetings and events, and I was able to participate in the preparation for the 232nd ECS Meeting in National Harbor by completing mini projects, such as creating volunteer schedules, confirming registrants, and writing bios for speakers. I also had the opportunity to work on longer projects as well by maintaining contact with ECS’s 67 student chapters and creating a list of prospective employers to reach out to about ECS’s Career Expo. Even within the last week at my internship, I put together a timeline of the Edward Acheson Award and had the chance to read through Transactions of the American Electrochemical Society from 1903 onward. Each project was incredibly fascinating, and I started each day ready to tackle a new task. ECS has experienced outstanding growth in several areas as highlighted in our 2016 Annual Report. This is great for the health of the society. As ECS continues the commitment to disseminate electrochemistry and solid state science research, the need for our members becomes ever so important. The question has become – how can ECS best serve its members? For years ECS has offered member benefits that include access and downloads from the ECS Digital Library, meeting registration and publication discounts, open access article publishing credits, and many more. But, our landscape is changing – as it is for all membership based organizations. Joining ECS Has Just Become Easier! After months of hard work, ECS has launched an online membership wizard. Individuals who are interested in joining ECS as a student or as a member for one, two, three or five years are now able to complete their application online and have access to their ECS My Account. We have also added the option to pay by ACH or bank transfer with our online shopping cart. 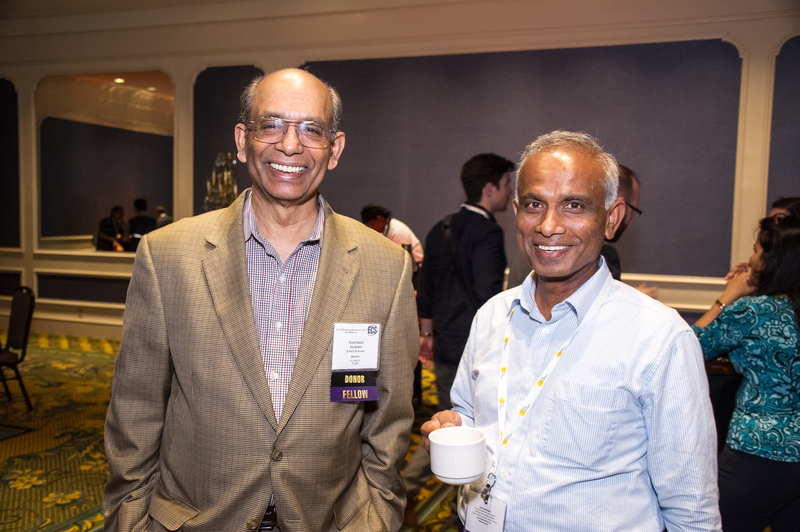 Discounts on meeting registration & publications –the online shopping cart has been upgraded to reflect member pricing when a membership is added to the cart. ECS Member ID – this number is often required on Travel Grant, Award, and Fellowship applications. This six-digit number is also your username for the ECS Digital Library. And within 24 hours, you’ll have access to the ECS Digital Library where you can download up to 100 articles – this is a $3,500 value that members receive for free! As an ECS Member you will also receive a complimentary open access publishing credit. This credit will provide you the opportunity to publish your next piece of work as open access with ECS – an $800 value! Most of all, you’ll be joining a community of your peers – your ECS community. 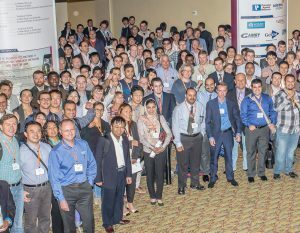 A network of individuals who work together to advance electrochemistry and solid state science, that serve the mission to disseminate our science globally and those who serve as a steward for our science. 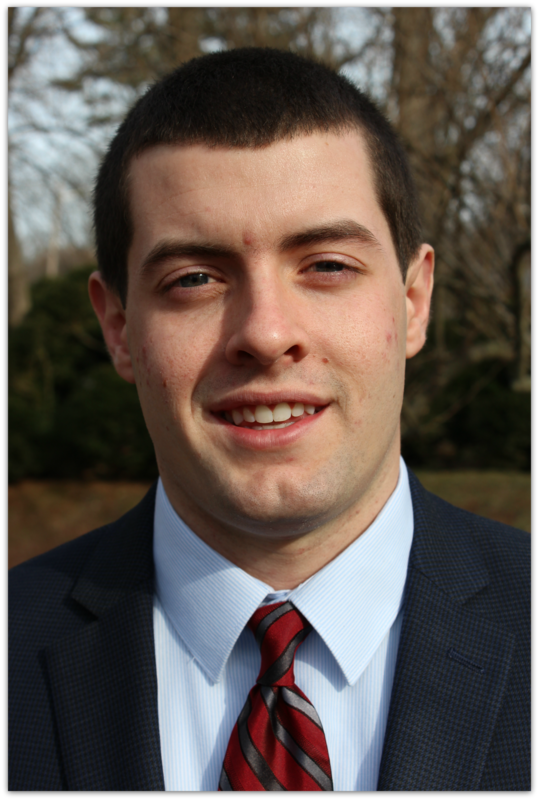 My name is Eric Pacansky and I am a graduating senior from the College of New Jersey (TCNJ). While at TCNJ, I have been studying business administration and have learned many concepts regarding how to run a business. To compliment my studies, I have had the good fortune of participating in two internships. I am grateful for the many opportunities and challenges these internships have presented, especially those I received as a membership services intern at ECS. When I first arrived at ECS in December 2016, I was not exactly sure what electrochemistry was or why it was so important. Then, after being presented with some of the topics that fall under the umbrella of electrochemistry, I was worried that I wouldn’t last long at ECS since I wasn’t able to comprehend most of what electrochemistry is all about. Thankfully, I was assured that having a solid foundation in electrochemistry was not one of my job requirements in the membership department. I was then informed about ECS’s Free the Science movement. Free the Science is ECS’s plan to provide platinum open access of its journals. This means authors will not have to pay publishing fees, and readers will not have to pay subscription fees. As someone who is studying business, this idea sounded crazy to me. It sounded like a utopian ideal that couldn’t possibly work. Why would the organization exist if it wasn’t trying to take every last dollar it possibly could? That’s when I was reminded of ECS’s mission to advance the science. For the most part, publishers have historically created paywalls that affect a person’s ability to either publish or gain access to an article. These paywalls have held back advancements in science. Removing these barriers is the future of scientific publishing and ECS’s work to do this shows the organization’s commitment to its core values and supporting scientists. My name is Andrew Ryan. For the past eight months, I served as a Membership Services Intern at ECS under the direction of Beth Fisher. Though I worked on many different projects throughout my time at ECS, my primary contribution was writing membership related posts for the ECS website’s Redcat Blog. A great deal of the posts written over the course of the past eight months with the byline “ECS Staff” were written by me. An English major who graduated from The College of New Jersey this past May, I was absolutely honored to have the opportunity to write for a website with such a thriving viewership. It was beyond fulfilling to be able to apply my passion for writing in a professional environment. But ECS was more to me than a writing outlet. It was more to me than a desk job or a resume line. It was a truly, positively rewarding experience. Attention prospective and current ECS members! Did you know? As of this year, you can belong to more than one primary division! The scope of ECS transcends academia. 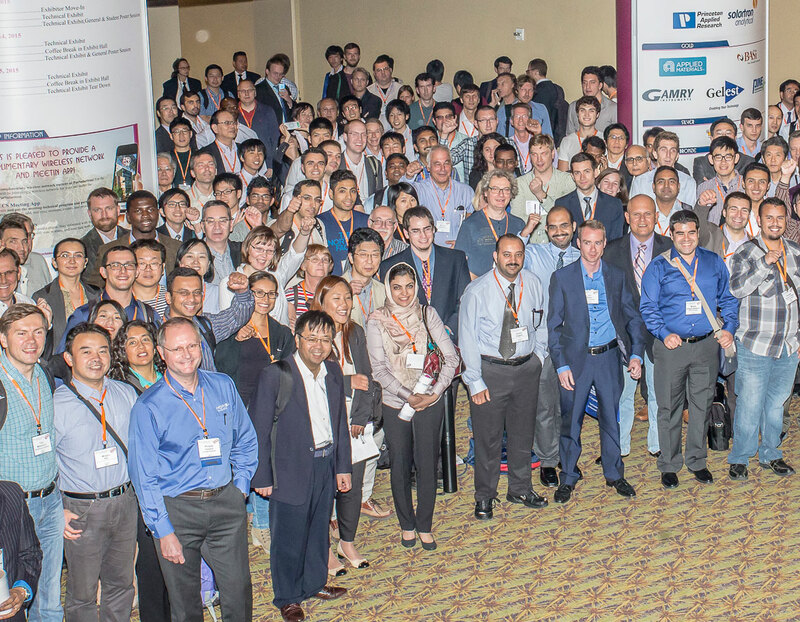 Its members are more than scholars; they are global leaders in the fields of research, innovation, and industry. With each passing day, they further develop the potential of electrochemical and solid state science, paving the way toward a cleaner, brighter future.